Discover Your Depths and Seva Simran Kaur (Sara Campbell) introduced Kundalini Teacher Training to Egypt in 2014. We are continuing to develop the programme as part of the Amrit Nam Sarovar (ANS) school in France, and its founder, Karta Singh. Details on new dates will be made available soon. Kundalini Awakening Yoga Teacher Training is the only Kundalini training in the world that offers you both the solid foundation of a 200-hour certified training programme, plus Karta's unique and life-changing Immersion Week. This training gives all students a direct, authentic experience of the yogic way of life, returning to our roots as human beings living in harmony with Nature. The course consists of three four-day modules, each held over a long weekend on the sacred Sinai peninsula, and closes with the final Immersion Week in the French Alps. This is an opportunity to immerse yourself both in nature and the five elements, as well as deepen your experience of the powerful teachings of Yogi Bhajan. Whether you plan to teach, or not, this is an opportunity for personal growth and exploration that will transform your life - helping transform and uplift those around you too. Yogi Bhajan likened the study of yoga to an adventure in consciousness. This is where we can gain a fundamental understanding, through experience, that the basic-self is always one with the One - Ek Ong Kar. The Kundalini Awakening Yoga Teacher Training with Amrit Sarovar in Egypt is designed to facilitate and promote international sharing and development in a loving, supportive environment, that recognises that we are all One. Students from all parts of the world are welcome to join our retreat-based training on the Red Sea. We are particularly excited to be bringing this powerful technology to Egypt for the first time, to expand the teachings of Yogi Bhajan and touch ever more peoples’ hearts and minds. The training comprises three modules in Nuweiba, Egypt, followed by an intensive week at the school’s international centre at Domaine Le Martinet, France. After passing the final exam you will receive a certificate of attendance on the 200-hour training from ANS. Kundalini Awakening Yoga Teacher Training provides a comprehensive education in both theory and techniques of Kundalini Yoga, and gives you a strong foundation for a successful and rewarding life. You will gain the knowledge and self-confidence to make a difference in yourself and the world around you, making some lifelong friendships along the way as you develop a strong practice within a supported structure. The first three modules of the ANS Kundalini Awakening Training take place over three long weekends and will all be based on sacred Sinai, Egypt. 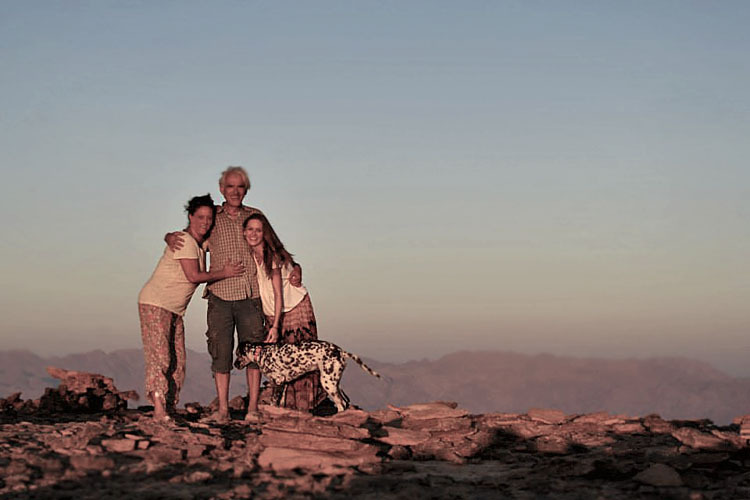 RockSea Camp is a peaceful, family-run retreat centre on the beach just north of Nuweiba on the Red Sea. We will all reside on Starside; a separate part of the retreat centre dedicated to spiritual workshops and sacred practice. Accommodation will be in shared beach chalets, and we will have our own shower and kitchen areas. 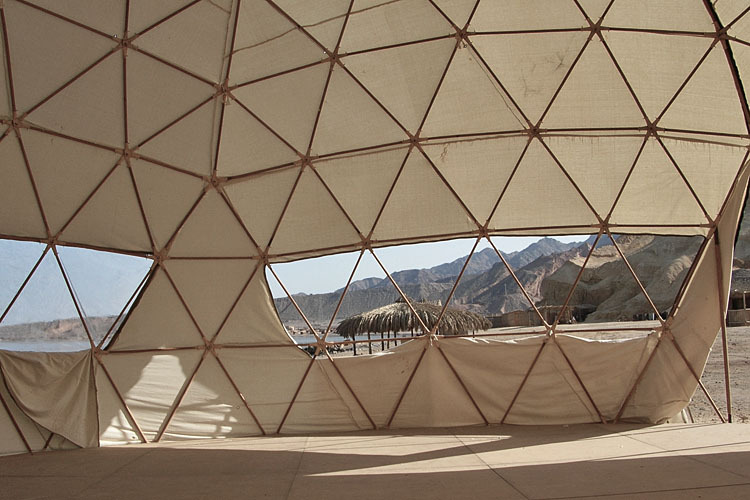 Teaching will be held in the Yoga Dome and palm-frond covered arishas on the beach. Seva is an integral part of the training, so we will all play a part in the running of the retreat during our stay. Please note that this is a sacred place and you should not bring any cigarettes, drugs or alcohol with you. We also encourage you to leave all your media and communication devices at home to allow yourself a digital detox for the duration of each training. We will release dates of our next cycle soon. Each Egypt module includes five nights accommodation, and we ask students to arrive the day before the start date, and to rest and remain until the day after closing, to assist with packing up and cleaning the space. Guests are welcome to extend their stay either end of their module to allow time for rest and integration of the teachings, or exploration of the Sinai and its coastline. Information on accommodation options and pricing for additional nights is listed below. Bookings can be made via email with or after your registration. The final intensive week of the course will be held at the ANS international centre, also the home of Karta Singh, at Domaine Le Martinet, in the French Alps. It is a residential week, and starts 7pm on the Saturday and finishes after the final Sadhana on the following Sunday. The week will also be attended by Kundalini Awakening trainees from other countries, including Germany, France, Belgium, Switzerland, Austria, Slovenia, Netherlands and Spain. The week will be taught in English and translated. all students are encouraged to join us for a final closing retreat where we will sit the three-hour exam together, followed by lunch and a weekend of celebration, practice and sharing. This exam is multiple choice and short-answer format. if you are unable to attend this closing weekend, you will need to complete the longer distance exam, and we will give you a month to complete and return this to us in order for your certification to be sent to you as a graduate. This exam is longer essay-style format. The final dates for these two exams will be confirmed at our final Egypt module in April. It is advised that you attend as many classes in your area as possible before the training - logging them in your Class Attendance Log - but there is no specific preparation to be done prior to arrival at the first module. Throughout the course you will also be given assignments of kriyas and meditations to practice between teaching weekends. Another integral part of the course is the ideology of Karma Yoga, also called Seva, which includes sharing the responsibilities of food preparation and cleaning. Upon qualification you will be registered as an ANS Kundalini Yoga Teacher, allowing you to teach Kundalini Yoga classes to students. You will be eligible to participate in all further ANS continuous education programmes if you wish to continue your studies further. Sadhana is an integral part of Kundalini Yoga practice, referring to our own personal practice, done either alone or within our communities. Sadhana itself refers to a daily practice, but in Kundalini Yoga it refers specifically to a set of prayers, exercises and mantras given to us by Yogi Bhajan to help us transition into the Aquarian Age. It is a beautiful, heart-opening practice which we carry out before and during sunrise, to take advantage of the rising energy of the Universe around us, and is extremely effective in helping us resolve and release past traumas and limiting beliefs which prevent or slow our development and growth. * Special rates offered for Egyptian Nationals and residents, please contact us for more information. Full payment options and international bank details can be found here. * fresh drinking water, fully equipped kitchen, two large double bedrooms, two bathrooms; shaded courtyard, garden & roof terrace - and loving cats and dogs. Full information on Villa Prana and the Hotel options in Dahab is available on our accommodation page. Please contact us to book accommodation or if you have any further questions.